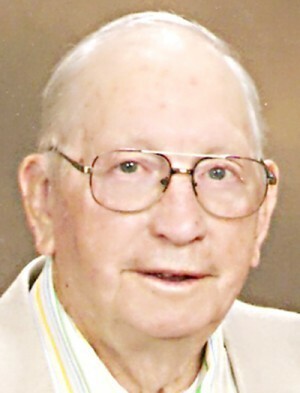 Gerald Ahniwake “Ahni” Ray, Sr.
Gerald Ahniwake “Ahni” Ray, Sr., 86, of Grants, N.M., passed away on New Year’s Day, Tuesday, Jan. 1, 2013. Ahniwake grew up in Quapaw, Okla. Ahni, as most people knew him, was born in Hockerville, Okla., on March 22, 1926, to Tom A. Ray and Dee (Crabtree) Ray. He served in the United States Navy aboard the aircraft carrier USS Franklin during WWII. He was a proud member of the 704 Club, and was one of the 704 survivors out of 3,000 servicemen who served on the USS Franklin CV 13. Upon his return from the service, Ahniwake came home to Commerce, Okla. and married Dorothy June (Conder) Ray in 1947. He worked in the lead and zinc mines in Picher, Okla., until 1958 when he moved to Grants to work in the uranium mines. He and Dorothy have lived on Cordova Court in Grants for the past 54 years. The most important thing in his life was his family and next to that his friends and acquaintances. We had to say “goodbye” to a wonderful man on New Year’s Day, Jan. 1, 2013. He went to meet his Lord and Savior on Tuesday afternoon. He left this earth a happy man and at peace. He fell asleep in his favorite chair and passed on to his new life. Ahniwake is survived by his wife of 65 years Dorothy: daughter: Geral June Baca and husband, Clifford, of Elko, Nev., their daughter: DeNelle and son-in-law, Christopher Trujillo, grandsons: Dominic and Michael Trujillo, of Grants; son: Steven Baca and wife, Leslie, and grandchildren: Colter and Amber Baca, of Ozark, Mo. ; son: Gerald Ahniwake Ray Jr (Jerry) and wife, Mary Jane, of Pflugerville, Texas; daughter: Sandra and son-in-law, Tony Basile, of Orlando, Fla.; son: Jeremy Ray and wife, Mandy, and grandchildren: Shelby and Payton of Pflugerville, Texas; son: Joseph Ray, of San Rafael, N.M.; daughter: Jennifer Ray and Harley Petit, and grandchildren: Alyssa, Morgan, and Henry of Tucson, Ariz.; son: John Patrick Ray and wife, Carolyn; sons: Alan Ray, and Bill Ray and wife, Tina; and Charles Ray and wife, Shayla, and grandchildren Chloe, Chase and Brayden of Elko, Nev.; son: James Ray and wife, Tawnya, of Grants; daughter: Chelsea Ray and Terrance Taylor, great-grandson Urijah of Albuquerque; son: Jameson Ray of Albuquerque; daughter: Daryl Ray of Albuquerque; daughter: Aleisha Abeyta-Pender and husband, Caleb, of Albuquerque, and son: Adam Abeyta of Albuquerque; and Rachel Gunn of Albuquerque. Ahniwake is also survived by his brothers and sisters: Bill Ray and wife, Darlene, of Galena, Ill.; John Ray and wife, Nancy, of Galena, Ill.; Vernon Ray and wife, Geraldine, of Clare, Ill.; Shirley Ray, sister-in-law, of Harvard, Ill., and Betty Ray, sister-in-law, of Commerce, Okla.; his sisters: FayeNelle Plummer, of Rocklin, Calif.; DeeAnna McCarthy, of Benton, Wis.; and numerous nieces and nephews whom he loved dearly.